Ocean phytoplankton creates a thick, visible layer near the ocean surface while reproducing like bunnies. For that, it needs the necessary conditions. 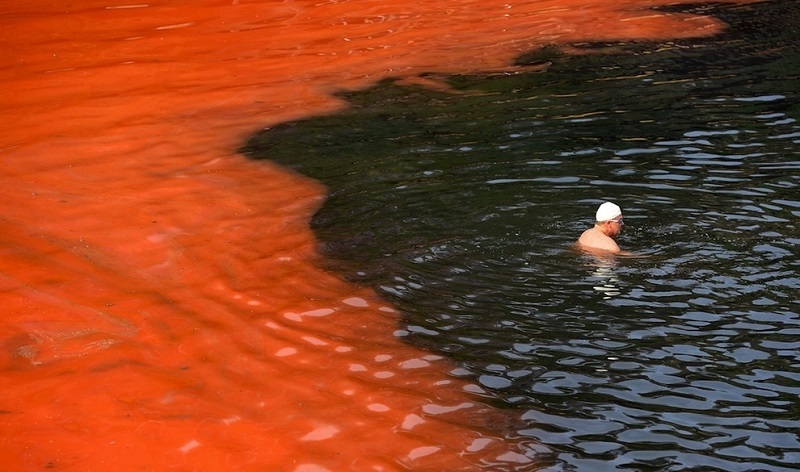 In California and other parts where Noctiluca scintillans fosters, the phenomenon is seen as a beautiful red tide. They are also seen as the Bioluminescent Bays in Puerto Rico. Foxfire is the phenomenon where bioluminescent mushrooms grow on rotting, moist bark and seen as a glow around the forest during late summer. It mostly occurs in the tropics where there are wide variety of fungus. To see it clearly, one needs to move into the dense forest during wet season where artificial lights do not affect the vision. When sunlight glazes through the frozen ice crystals in high altitude cirrus clouds, fire rainbows can be seen. There is no involvement of rain in the fire rainbow. So, scientists prefer to call it circumhorizontal arc. Less fun, more accurate. It’s mostly seen near the latitudes closer to the equator, and the conditions are right for places like Los Angeles and London. They mostly occur farther away from the equator. Even though they are rare, they can be seen in dark hours before dawn or sunset at places such as Iceland, Alaska, Northern Canada. When a thick layer of snow falls on top of a layer of ice, snow rollers dangle and roll if the temperature and wind speed is enough for the snow to break loose. As they roll down, they pick up other snow and become a huge ball of snow. But the beauty is that the inner layers are less compact, so the wind can blow it away. This forms a snow doughnut, like a snow roller. It’s an infrequent scene, but there are evidence from North America and the UK. This phenomenon seems to look like man-made with hexagonal columns forming naturally as the lava cools after a natural volcanic formation, creating cracks in the surface of new rock. The geological formation is notably seen at Giants Causeway in Ireland and Devil’s Postpile in California but also can occur at volcanic areas across the globe. Though rare, there have been evidences and eyewitnesses of raining animals where aquatic animals such as fish, frogs, fall down with the rain. The science behind it lies in the watersprouts, tornadoes made of water, when the wind lifts small animals out of water and carry them distances until they drop down. 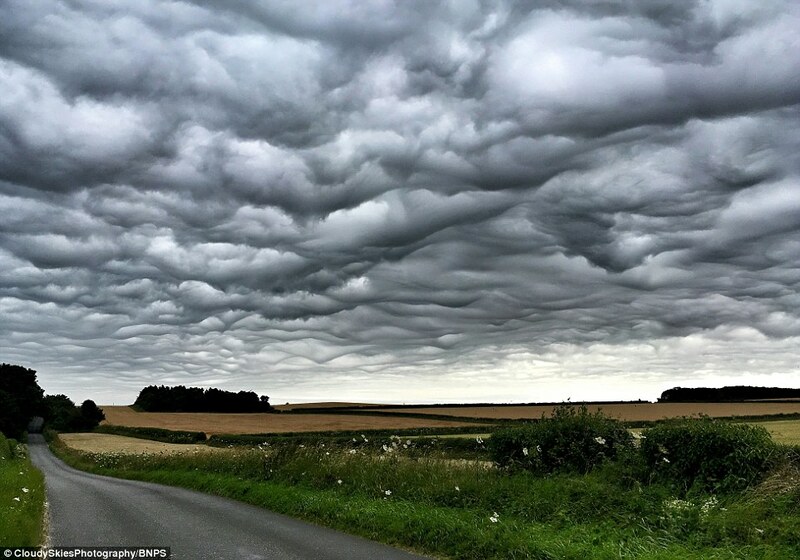 Asperatus clouds are so rare that they were only classified in 2009. They break up quickly when turbulent winds whip up the bottom of cloud layer, creating fancy shapes and formations as seen in the picture. It’s during the Thunderstorm that you get to see the beauty. When the sunlight travels through more of earth’s surface, you might be able to see a green flash light as the sunlight creates a prism effect. To improve your chances to see the green flash, you need to watch the sun set over a long horizon when the day is clear. Even oceans might work for this. Sun dogs appear as a bright spot sitting near the sun when there is presence of crystals in the air near the horizon. The “dogs” seem to follow the sun left and right of the horizon, and the phenomenon can be seen from anywhere around the world. The effects are quite subtle, but it’s seen the brightest when the sun is low around the colder regions. Double rainbows are common sight. As the name says it, you can see two rainbows, perhaps, even intersecting each other. When you think of iceberg, you might think of it as this monotonous coloured body. But there are exceptions, and these exceptions are beautiful. When water melts and refreezes, certain particles are trapped in between the layers of ice and iceberg are seen to have stripes; blue stripes occur when the air bubbles cannot form between the layers, green and yellow layers are seen when algae are trapped. You can see them around the south of Antarctica. A mysterious occurrence, Catatumbo occurs in Venezuela, specifically in the mouth of Catatumbo River and around Maracaibo Lake, and is also called “the everlasting storm”. They are seen as lightning across clouds. You can see waves in the sky too, though at a very rare time. How are they seen? Ripple effects occur when air is pushed upward to stable layer of atmosphere. Imagine seeing the waves when you see the ripples when you throw a rock into the pond. But for the gravity waves to occur, there must be great variation in the atmosphere, like a strong thunderstorm. The spherical stones are formed over a course of million years through formation of layers and layers of crystals around a central core. They are seen at the Koekohe Beach in New Zealand.